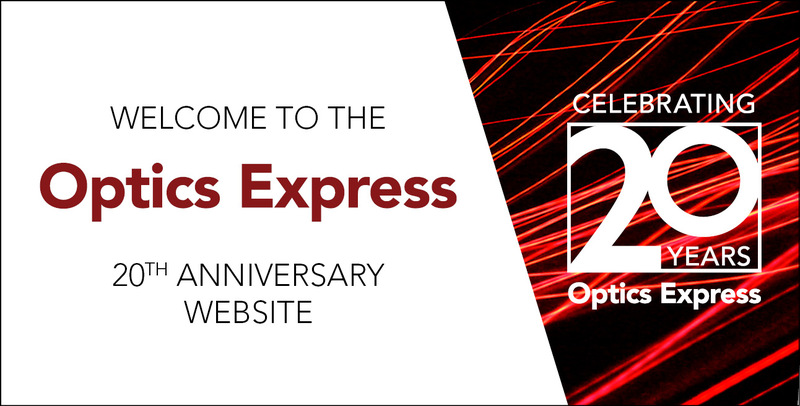 Launched in 1997, Optics Express has provided readers with high-quality content edited by active researchers in optics and photonics for 20 years. To celebrate the Journal's accomplishment, we have created this special website, which includes special content and article collections. Browse invited reviews and perspective articles from distinguished authors. Browse the Journal's most cited articles of all time. Learn about the Editors that contributed to making Optics Express a leader in the field. Read commemorative editorials and other materials that were published in and about the Journal over the years. Read a selection of articles chosen by the editors to represent important topic areas that have been covered by the Journal.